Germantown Friends School soccer coach Manolo Sanchez. Manolo Sanchez was thrilled last fall when Germantown Friends boys’ soccer coach Sam McIlvain hired him to be an assistant coach for the Tigers. Sanchez, a former professional soccer player, returned to his alma mater to help the boys’ team win its first Friends Schools League title in 11 years. On Monday, the school announced Sanchez as its new head girls’ soccer coach. The 2010 GFS alumnus will also join the school’s admissions office as the admissions athletics liaison and application coordinator. Sanchez, a four-year varsity starter at GFS, was an All-Southeastern Pennsylvania and all-state player in his junior and senior seasons. He still holds school records of 59 career goals and 38 career assists. He replaces Cailin DiGiacomo. Sanchez was chosen by the New York Red Bulls with the 17th pick of the fourth round in the 2015 Major League Soccer draft. 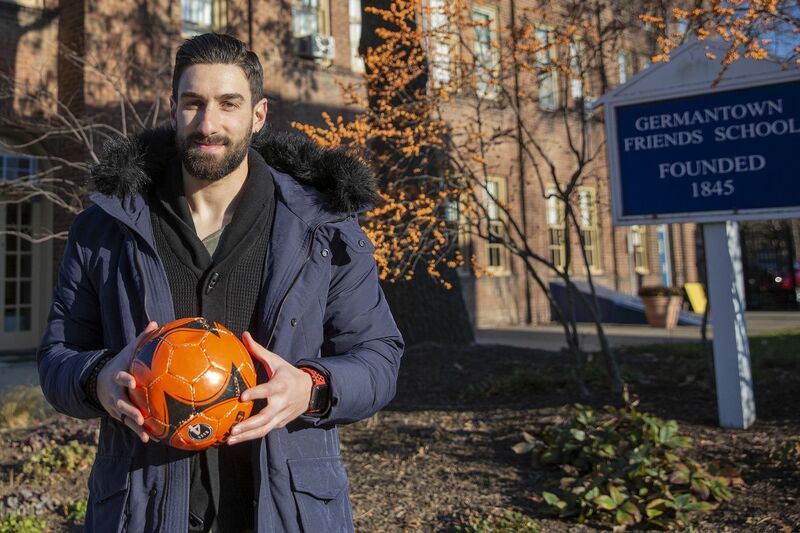 He spent four years playing professional soccer for the Red Bulls, San Antonio FC, Harrisburg City Islanders, South Georgia Tormenta FC and the Puerto Rican national team. He started his collegiate career at Louisville before transferring to Clemson, where he earned All-ACC honors. He suffered a broken ankle while playing in Georgia last year and opted to return to Pennsylvania for his post-surgery rehab. He figured he’d take the opportunity to see if he’d like coaching. Sanchez didn’t expect to become a head coach so quickly after he announced his retirement from playing in December. He’ll draw on his professional playing career to determine a style of play for the Tigers. This story was corrected to remove the assertion that DiGiacomo was a part-time employee at Germantown Friends School.